About two decades of observing and studying two supermassive black holes hundreds of millions of light years away have let astronomers to the groundbreaking conclusion that these supermassive black holes are actually orbiting one another. 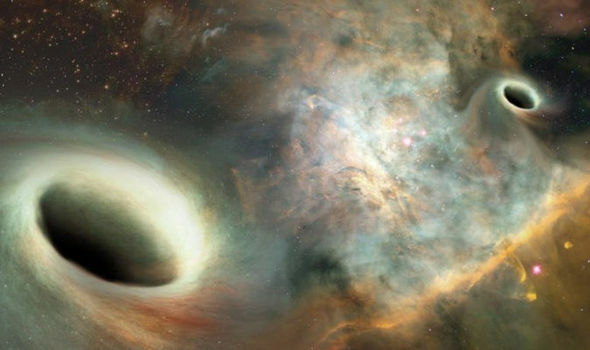 Orbiting black holes have long been theorized but there was no observation of them now this is the first time that astronomers have been able to prove this marvelous phenomenon. Greg Taylor, an astronomer from The University of New Mexico (UNM), said: "For a long time, we've been looking into space to try and find a pair of these supermassive black holes orbiting as a result of two galaxies merging. The study took so long because astronomers cannot directly observe black holes. There existence is confirmed by only observing the way matter acts around them. The orbital period of these two supermassive black holes is around 24,000 years. Even after ten years of observing the two black holes, the team of astronomers behind the study had not spotted any curvature in the orbit. Astronomers discovered these two supermassive black holes in a galaxy about 750 million light-years from Earth using Very Long Baseline Array (VLBA). Astronomers state that the study will help them to understand the origins of the cosmos and the ultimate fate of the Milky Way Galaxy. 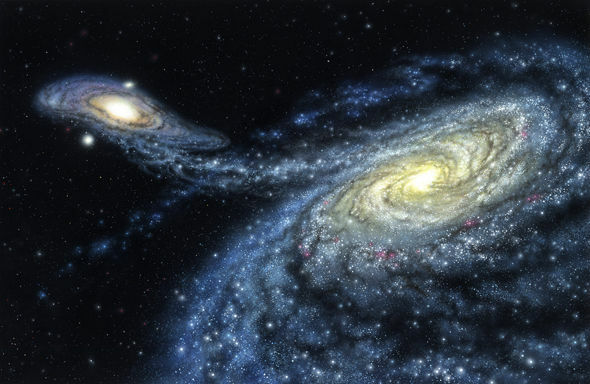 In next billions of years, the Milky Way will crash into Andromeda galaxy both of which have supermassive black holes at their centers. Dr Taylor added: "Supermassive black holes have a lot of influence on the stars around them and the growth and evolution of the galaxy. "So, understanding more about them and what happens when they merge with one another could be important for our understanding for the universe."